Cover Reads: What Did I Get For Christmas Last Year? Oh Yeah, Drunk! 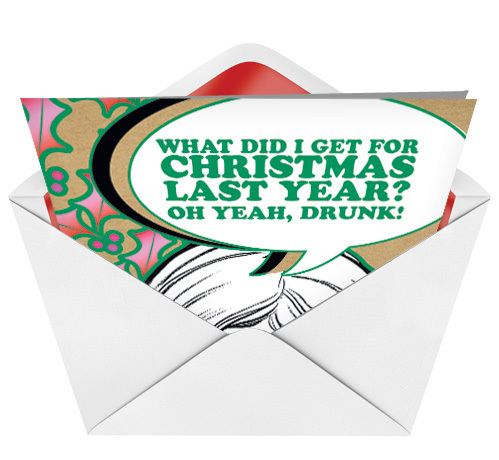 Inside Reads: Tis The Season To Get Plastered. 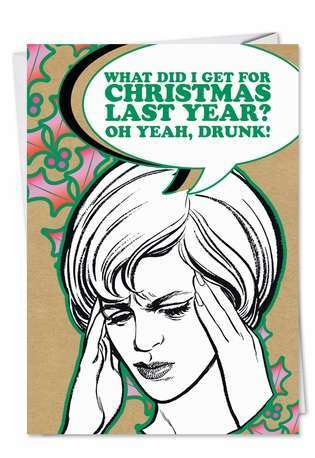 A perfect Christmas greeting card for the drinkers. Any alcoholic is going to resonate with the message on this Christmas greeting. You can't always count on Santa to bring you everything you want on Christmas, but you can go score a handle and drink the night away, after all, tis' the season!